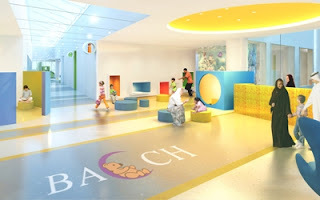 I cannot wait to attend the opening of BACCH this week!!! Bayt Abdullah Children's Hospice is a dream based on the promise made to Abdullah which will allow children with terminal conditions to be looked after at home or in the hospice itself. KACCH has brought hundreds of Kuwaitis and expatriates together to make that dream a reality, each contributing to the extent of their ability and talent in the common belief that Bayt Abdullah will help each family enjoy many special times together, free from pain and other symptoms, when every moment counts for them. You can share this dream by contributing your talents, your money, your skills and experience to make Bayt Abdullah Children's Hospice a reality in the lives of the children and families who are in need of its services. The individual needs of the child and family members will be the focus of all services provided at Bayt Abdullah ensuring a speedy and sensitive response to changes in the child's condition or family circumstances. a) A specialised professional service, free of charge for all children in Kuwait who meet the criteria for admission to the hospice, regardless of nationality or religion. b) The choice of home, hospice or hospital based care, or a combination of all three, depending on their needs. c) 24 hour support at the end of a telephone or in the family home. d) Respect for individual preferences of children and families in relation to treatment and intervention.